← This is CSI Africa! In our newsroom it is called Operation M.
Now Operation M is bit like the US president’s football, that emergency satchel that contains the codes and authorisation for a nuclear attack. What Operation M is is the paper’s plan for when Nelson Mandela dies. It details how journalists will deploy across the country, the supplements that will go into the paper, the nitty gritty of how we will cover this big story. For a long time this dreaded document lay hidden in the paper’s computers waiting for its day. Last week I saw that document for the first time, held tight in my news editor’s hand. Just moments earlier a photographer had come into the newsroom and had said he had heard it from a source that Mandela had died. There had been other such rumours over the last couple days, with Mandela in hospital, but somehow this time it seemed real. Soon the President would appear on TV to tell the nation the news. Everything will start moving fast as Operation M kicks in. Journalists will be called and told to come to the office. The country will mourn and we will record it. 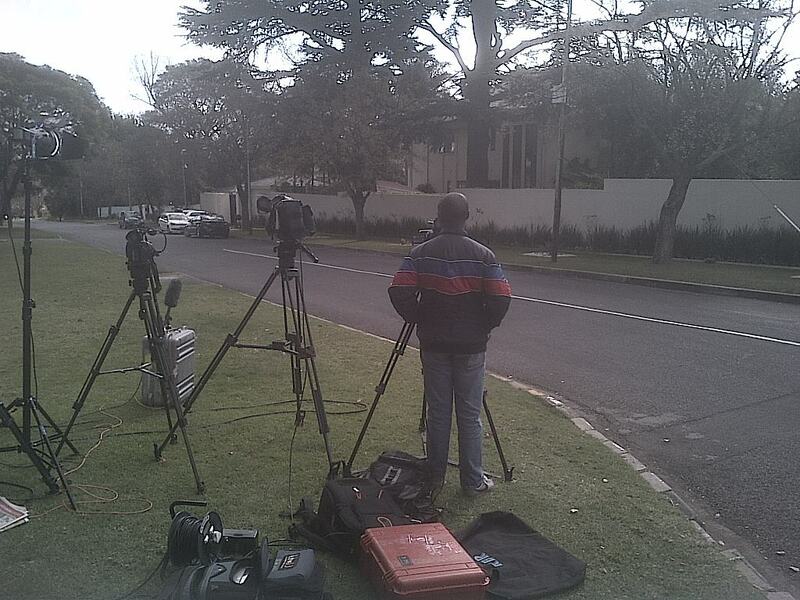 President Zuma didn’t appear but the rumour refused to die. Two hours later on the streets of Melville I bumped into another photographer. Wide eyed he was looking for a spot where people will empty into the streets once they had heard the news. Zuma, he said would be addressing the nation in five minutes. We rushed to find a TV in a restaurant. “How is Baba?” A patron in a restaurant asked a waiter, when he heard why we wanted to change the channel on the TV. Again Zuma was a no show. Now a week later, Mandela appears to be a lot better, but Operation M remains. And one dark day soon it will be activated. This entry was posted in journalism, Media, stories behind the news, Uncategorized and tagged Mandela, mandela's death, The Star newspaper. Bookmark the permalink.